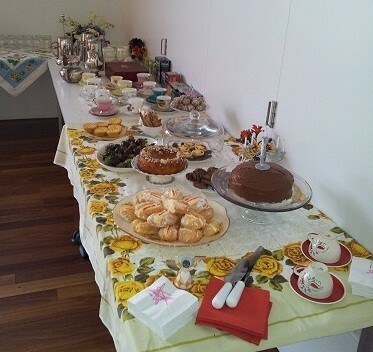 We’re big on morning tea here at Hutt City Museums and are lucky enough to boast a number of very good bakers on staff. Some days we end up with cake for both morning tea and afternoon. 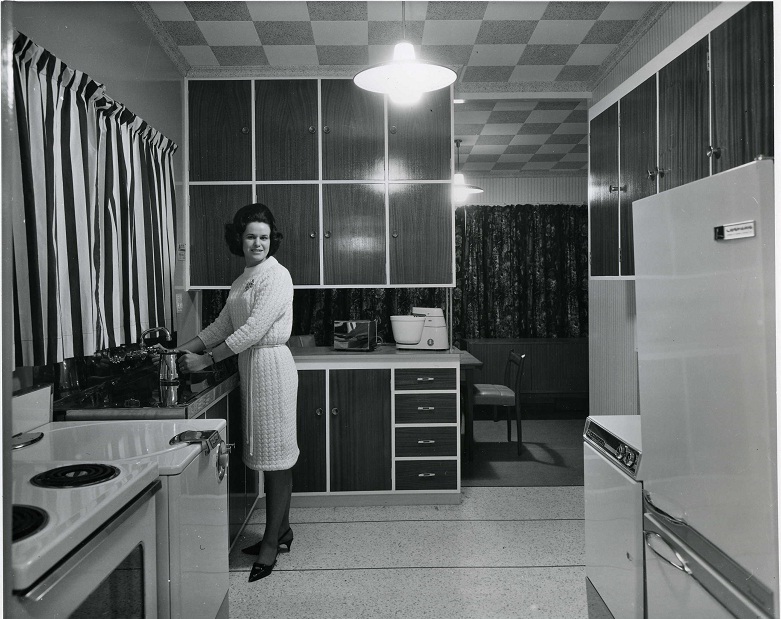 So it’s probably not surprising we have a number of photographs of kitchens in the Settler’s collection. 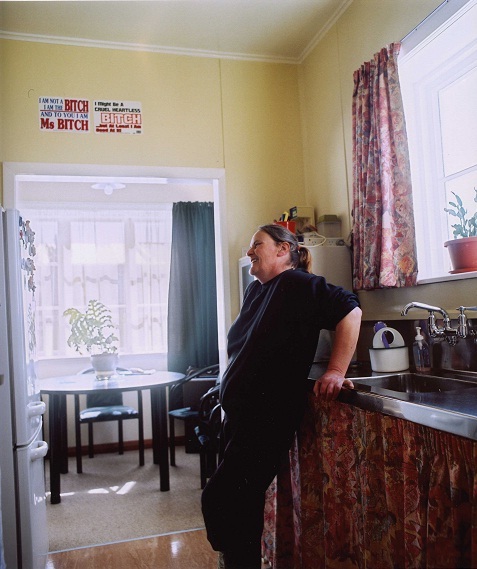 House and Home, Victoria Birkinshaw, 2005, colour photograph, Collection of the Petone Settlers Museum. 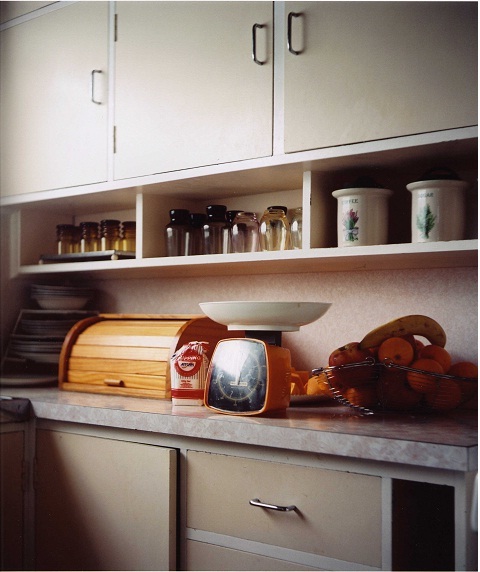 In 2005 photographer Victoria Birkinshaw was commissioned by the museum to take a series of photos called House and Home, many of which show kitchens. These photos are remarkable by how ordinary they are, giving us glimpses into the everyday lives of Petone residents. 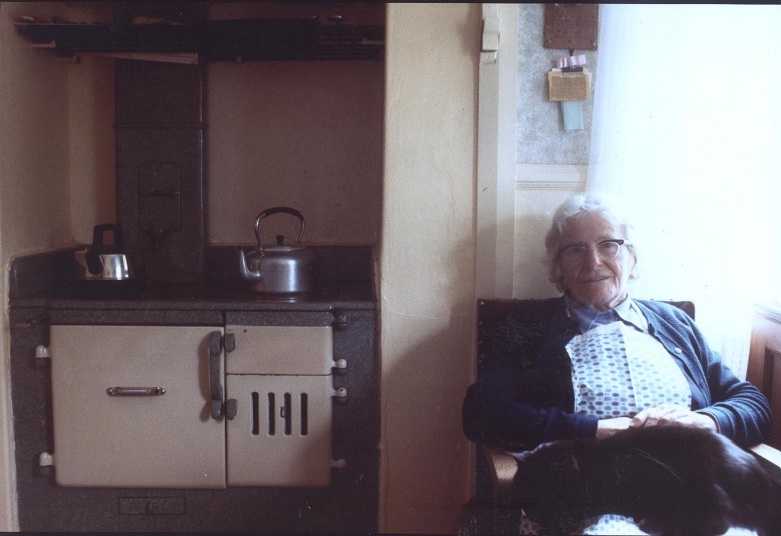 Further back in time, we have a set of photographs taken in the 1960s by Wm. E. Toms from Eastbourne. 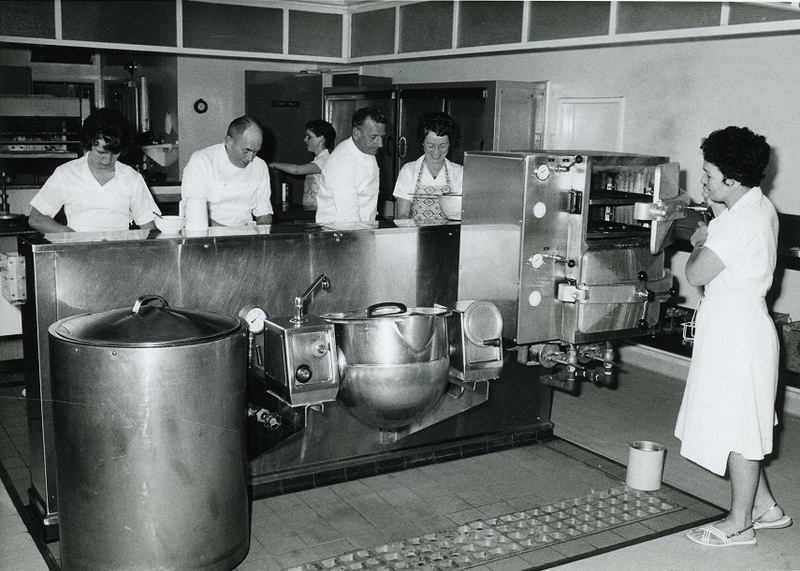 Many of these were commissioned by the Unilver company, such as this shot of a commercial kitchen in the Unilever canteen. 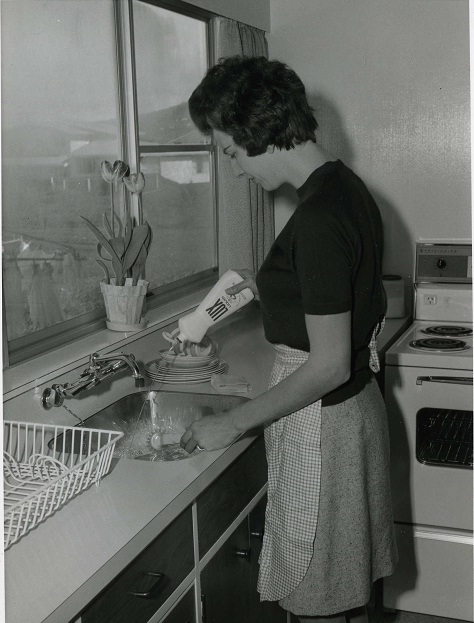 Hutt Valley Electric Power & Gas Board display kitchen – filling hot water jug. 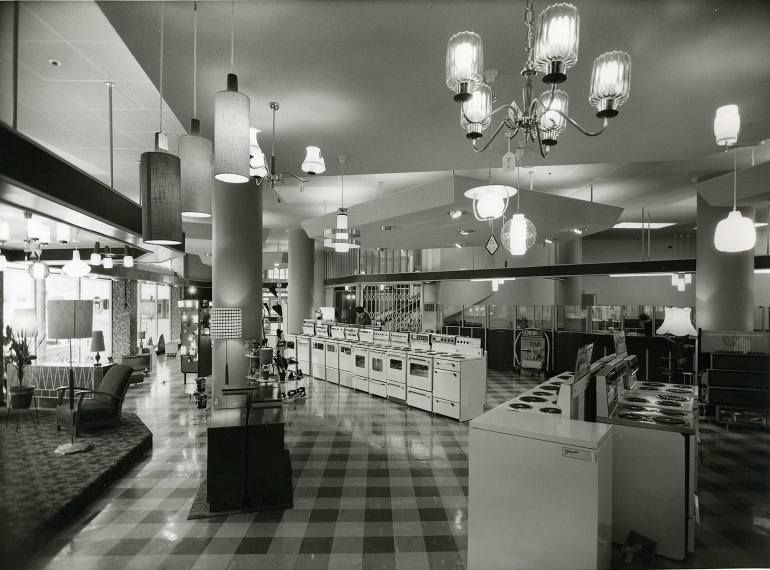 c. 1960s, Collection of photographic prints made by Wm. E. Toms between 1948 – 1972 at Eastbourne Studios. Collection gifted by Mrs. Valerie M. Blennerhasset (nee Toms). This stylish woman has certainly dressed up for the occasion. I’m not sure how practical the outfit would be for a serious Bake Off, but she sure looks good. Black and white photograph of an industry exhibition/fair featuring three electric stoves and promoting electric cooking. ‘Bring luxury to your kitchen with electric cooking’. Collection of photographic prints made by Wm. E. Toms between 1948 – 1972 at Eastbourne Studios. Collection gifted by Mrs. Valerie M. Blennerhasset (nee Toms). A Unilever, Petone publicity photograph. Collection of photographic prints made by Wm. E. Toms between 1948 – 1972 at Eastbourne Studios. Collection gifted by Mrs. Valerie M. Blennerhasset (nee Toms). And after the baking is made? There’s always the dishes to be done, sigh. This entry was posted in PSM and tagged Kitchen, Peter Black, photography, Victoria Birkinshaw. Bookmark the permalink.